Aloisia will take on Winx for the first time when they start autumn campaigns in the Apollo Stakes. They train Winx’s unraced baby sister Courchevel, but family links will mean little at Randwick on Saturday when Ciaron Maher and David Eustace saddle up Aloisia against the champion. Eustace can’t recall the stable having had a runner against Winx before and has mixed feelings about Aloisia becoming the first when she resumes in the Group Two Apollo Stakes (1400m) at Randwick. “Exciting might be the wrong word. Daunting is probably closer to the mark,” Eustace said. “And I don’t think I’d really want to be there if we were to beat Winx because I don’t think we’d be very popular. 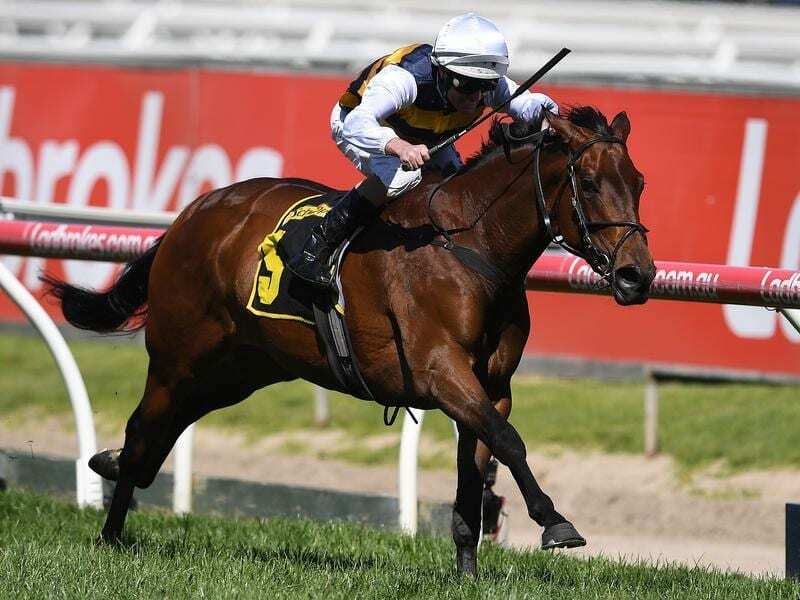 While Eustace is resigned to Aloisia finishing in Winx’s wake, he says the Apollo is a perfect starting point for the Group One winner, who has been freshened since finishing second to Sky Boy in the Villiers Stakes in December. “She had 10 days in the paddock and then prepped up down at the beach at Balnarring,” Eustace said.